Stop new offshore drilling and related seismic exploration for oil and gas off U.S. coastlines. For decades our coasts were protected from offshore oil drilling. Unfortunately, circumstances changed in 2008 when President Bush lifted a White House moratorium on offshore drilling. Congress later followed suit by allowing a federal ban on drilling to expire. Now, decision makers at the state and federal levels are examining ways to capitalize on the lifted moratoria and erect new platforms along our coastlines. In 2016, Surfrider Foundation and our partners successfully stopped the federal government's plans for offshore drilling and related seismic blasting off the Atlantic coast (read more), but the threat continues under a new administration and congress. 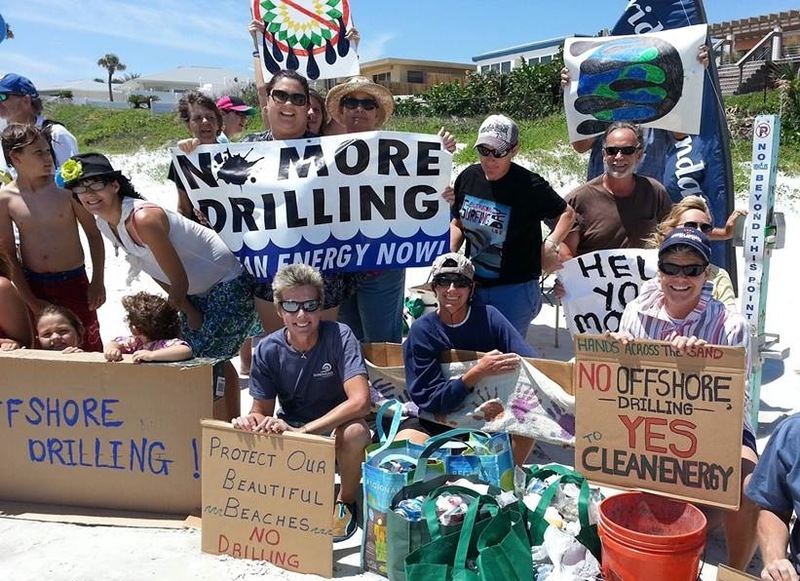 The Surfrider Foundation is opposed to offshore oil drilling in new areas. Our nation’s oceans, waves and beaches are vital recreational, economic and ecological treasures that will be polluted by an expansion in offshore oil drilling. Instead of advocating for transient and environmentally harmful ways to meet America’s oil needs, we should seek a comprehensive and environmentally sustainable energy plan that includes energy conservation. Offshore oil drilling and oil spills have the potential to critically impact pristine marine ecosystems and lead to industrialization of our coastlines. While there are numerous environmental problems associated with oil drilling, there are also negative economic impacts that we simply cannot afford during hard economic times. This fact sheet is intended to outline potential impacts of offshore oil drilling, and also to dispel myths that have been put forth by oil drilling proponents. Ultimately, America cannot drill our way out of an oil consumption problem. We must look toward sustainable solutions that protect our natural resources, rather than drilling for fossil fuels off our coasts. It is in the best interest of our environment and economy to wean America off oil, and develop a sustainable “energy portfolio” that includes renewable sources and conservation. Energy conservation is the most economical and environmental way to achieve energy independence from fossil fuels. Riding mass transit, increasing auto efficiency, improving building insulation, and better management of electrical use in homes/businesses, are just a few ways we can reduce our oil and energy consumption. Conservation is much cheaper and healthier than investing in further development of offshore oil reserves. It’s imperative that America shifts away from an old mindset of relying on fossil fuels. Climate change, and other environmental problems are not waiting for us to ‘rebuild our energy portfolio’. Oil drilling and continued use of fossil fuels will only exacerbate climate change, and keep us trapped in a ‘backwards frame of mind’ which overlooks sustainable energy and conservation. The answers for sustainable energy are already in front of us—and offshore drilling is not part of the answer.